MTB is targeted at those organisations wishing to manipulate marine environmental or geographic based datasets. Although originally developed in collaboration with numerous UK ports, its usage lends itself to commercial survey companies, harbours, engineering and environmental consultants, marine laboratories/agencies and operators/owners wishing to better manage their marine datasets. In addition to the standard release, OceanWise is looking to develop the existing MTB Extensions. 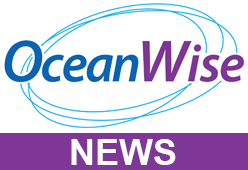 By linking to Ocean Database (OceanWise’s complete data management solution), this will allow both current and historical Hydrographic Survey, Dredging, Environmental Sampling and Asset Management data to be effectively managed through the toolbar. The extensions enable fast interrogation and reporting of the data and use the power of GIS to allow further analysis not available within a standard database.